A concession or a ruse to ensure continued authoritarian rule? In the second of two articles examining changes in Russia's electoral architecture, Grigorii Golosov considers the recent relaxation of Russia's party registration rules. Between 2004 and 2011, the Russian government built a party system that it could control. Conditions governing the registration of new parties were tightened, and existing parties were destroyed wholesale (over 2004-8, the number dropped from 46 to 7). Only one new party, ‘Just Cause’, was allowed to register, but even that was formed from 3 parties that had earlier been removed from the field. The authoritarian turn was largely achieved by amending the 2005 law ‘On political parties’, first and foremost by ordaining that parties should have 50,000 members, where previously the requirement had been for 10,000. Another important factor was the increasingly stringent enforcement of the law, particularly noticeable in during mass compliance checks in 2006. At the beginning of 2011 the main political players and the expert community recognised that registering a new political party in Russia was a virtual impossibility and any attempts to do just that – and not always by opposition parties either – were doomed to failure. Hardly surprising, then, that the almost total lack of freedom for political parties was a frequent, and easy, target for opposition criticism. During the 2011 election campaign it was a major part of denials that the election was fair or free, and the demonstrations after the election resounded with calls for the registration procedures to be relaxed. Liberalising the law on political parties could, therefore, be considered as one of the government’s most obvious concessions to the protest movement. Opinion poll results, however, show no evidence that most Russians (including the opposition-minded) consider the liberalization of this particular law an important plank in a potential programme of reforms. Party-building as an important civil society priority is obviously not high up on the list of desirables for most Russians, so this concession has to be seen as aimed at the protest movement, which came into being at the end of 2011. The system of limited and controlled political pluralism, which emerged at the end of 2007, was in many ways what produced the positive (for the government) results in the 2007 parliamentary election and municipal elections of 2007-11. ‘United Russia’ managed on the whole to gain an absolute (though often qualified) majority in the legislative and municipal assemblies. This was done through a combination of Vladimir Putin’s supporters voting sincerely, administrative voter mobilization and outright electoral fraud, and resulted in an absolute majority which meant that votes could be converted into seats. But the system was already cracking at the seams during the 2011 election for legislative assemblies, and the Duma election results in the same year were less than satisfactory for the government. This was because the artificial restrictions placed on the number of parties meant that only 4 or 5 of the 7 had any chance of clearing the electoral threshold and a satisfactory result for the authorities could only be guaranteed if the ruling party, ‘United Russia’, took more than 50% of the vote. In other cases the majority was made up through a coalition between ‘United Russia’ and parties for independent candidates. which would have been very much at odds with the basic principles of the system in the preceding period 2007-11. Increased electoral fragmentation represented a possible institutional way out of the situation. If a significant part of the vote is not reflected in the number of seats, it becomes quite likely that, even abiding by the rules of proportional elections, the ruling party could gain 55-60% of the seats, having received only 35-40% of the vote. But for this the level of electoral fragmentation has to be considerable, and the increase must be achieved by mass voting for small parties, rather than a more equal spread of votes between the big parties. What happened in Russia in the 1990s showed quite unambiguously that for this condition to be fulfilled several dozen parties are needed. Another lesson which the government might have drawn from the politics of this period is the importance of the so-called ‘spoiler’ parties i.e. those whose main function was to take votes away from the bigger parties which might have been able to clear the electoral threshold. The idea of relaxing the rules for the registration of political parties was announced by Dmitry Medvedev in his 2011 address to the Federal Council. Here he set out the basic principle of reform: the number of members a party needed to register would be drastically reduced from 40,000 to 500. Another important idea contained in his address related to the abolition of the need for the candidates to collect signatures in order to register for any election, except a presidential. And indeed, without this second idea the first could have turned out to be no more than a fictitious measure, because the way the law operated in 2005-11 provided all the conditions for removing new parties from elections on formal grounds (that there were insufficient signatures, or they were not genuine). These legal amendments were formalised as federal laws on 2 April and 2 May 2012. Both draft laws were introduced in the Duma soon after Medvedev’s December address and they cleared all the procedures (up to and including the President signing them off) in less than 4 months. Moreover, during their passage through the Duma there were no significant amendments such as might have contributed to any emasculation of the liberalisation. Many of the deputies, including members of the opposition factions, actively supported a considerable increase in the numerical threshold for party registration as well as barriers to their participation in elections, but these views were not taken into account in the final version of the draft laws. The new laws became effective very soon after they were passed, rather than in January 2013, as had been originally intended. This shows the importance for the government of the strategic aspects of the reform important, leading them to take no account of the deputies’ wishes. Importantly, however, the new laws did not touch other potentially repressive amendments of the Law, introduced during the period 2001-05. Parties can still be refused the right to register and there are many possible grounds for this, including non-compliance with formal registration procedures and the view of the registering body that the aims of the party do not accord with Russian legislation. These were the reasons that were frequently adduced for refusing a party registration before, so one might think that the new laws could also make use of considerable restrictions with the aim of limiting political pluralism. But there is a difference: now it is a question of how the law is enforced, whereas previously it was the law itself. The process of creating new parties was already under way before the new laws were passed and has brought about a significant change in the Russian political landscape. Justice Ministry figures for 21 May 2013 show that there are now 69 officially registered political parties in Russia. 46 of these have been through the whole registration cycle, which means that they have registered no fewer than 42 regional divisions, and been granted the right to take part in elections. So the number of potential participants in an election has reached its highest point since 2001. 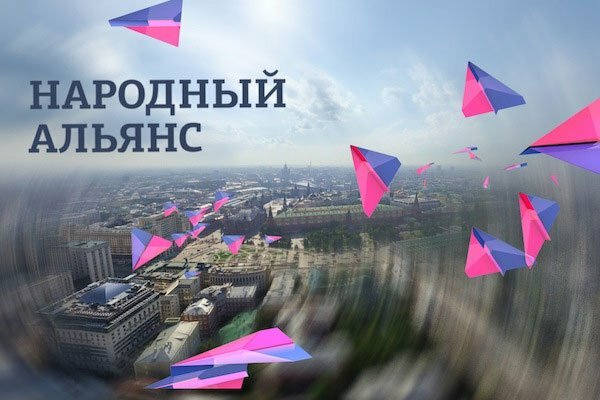 Some new parties have been refused registration for one reason or another; others have seen the process of their registration halted as, for instance, was the case in May this year with the ‘People’s Alliance’, a party set up by supporters of Aleksey Navalny. A provisional idea of the possible political results arising from the enactment of the new legislation may be gained from the regional and municipal elections of 14 October 2012. Across the regions, from 11 to 19 parties were entitled to take part in these elections, but only 13 of them did so on any appreciable scale. The most active were the parties which had already established their organisational structure by the time of registration. One of them was the ecological party, the ‘Greens’; another has been in existence throughout most of the post-Soviet period, the Health and Safety Party (SanEpidemNadzor – the government body which issues licences to businesses if they comply with health and safety requirements). Also playing an active part were the ‘Communists of Russia’, a combination of many groups which have at one time or another fallen out with the Communist Party of the Russian Federation. The part played by the new parties in the October elections was on the whole unsuccessful: they only managed to get deputies elected in a very small number of municipal assemblies and failed miserably in the regional assembly elections. That being said, the overall numbers of votes gained by these parties were in places fairly considerable (9.5% in the Krasnoyarsk region, 7.5% in North Ossetia); analysis of electoral data shows fairly clearly that as the number of parties grows, so does the ratio of votes not converted to seats. When considering the results of the October elections, one cannot ignore the fact that ‘United Russia’ was on the whole quite successful, while the other old parties’ share of the vote was much less than in the elections of December 2011. This can be explained partly by the fairly specific selection of regions in which elections were held and the special efforts made by the Presidential Administration to ensure that the results were good. It is, however, clear that the new parties are causing less damage to ‘United Russia’ than to the other old parties. This is because the ruling party’s results are artificially hiked and because many new parties act as spoilers targeting the Communist Party of the Russian Federation and ‘Just Russia’. So the strategy for improving performance data for ‘United Russia’ by increasing overall fragmentation does on the whole deliver the expected results for the government. For the moment it is clear that the results of party reform correspond to the goals of authoritarian adjustment, but the reform remains nevertheless the main achievement of the democratic movement in Russia and contains considerable potential for liberalisation, which could be realised in a more favourable political context. For this reason special attention should be paid to any attempts at amending the liberal provisions of the new law on parties, in particular any new restrictions on the rights of party candidates to take part in elections. Debates on the new law on parliamentary elections gave fairly clear hints that a new clampdown could be a possibility. Public opinion must be mobilised to ensure that this does not happen, a complicated task, if one takes into consideration that the idea for building new parties has been seriously discredited and is regarded quite sceptically by many of the critically inclined. Importantly, the new party landscape makes nonsense of the voting for ‘any other party’ [than the ruling party, ed] which was so successful in the 2011 December election. The most serious challenge for supporters of democracy is that they have not yet managed to make use of the newly-liberalised party legislation for their own ends. The 14 October election showed that the new democratic parties did not do at all well and, indeed, their actual participation was only episodic. True, the ‘Civic Platform’ will be participating in the next ‘single voting day’ on 8 September 2013 and there are real grounds for hoping that it will be relatively successful in various regions. But it is also clear that by September there will be an active network of spoilers aimed at splitting the critically-minded vote. The democratic parties and candidates must coordinate their activities, though the organisational framework for this coordination does not yet exist.